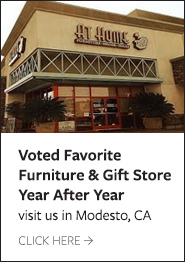 Our family has been in business for over 13 years in Modesto, CA. 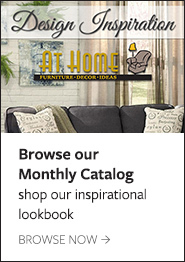 We originally started with just furniture and select accessories, but have diversified our product line now carrying much more furniture as well as unique pieces and accessories for every room in the house. We have a large selection of candles, jewelry, purses, runners and scarves. 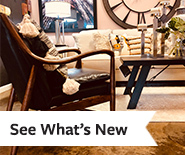 Our family buyers continue to search for the best buys and values in the furniture market. We shop at four international shows each year, making certain to always find products that you cannot find in department and chain stores. We support buying local and we are members of the American Independent Business Alliance and Modesto Independent Business Alliance (MIBA). We strongly believe in and support local owners. 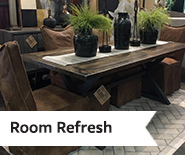 We work hard to create a pleasurable and professional shopping experience for our customers. Our friendly and knowledgeable staff is always ready to answer any questions and provide the information you need, but we never pressure or rush you to make a decision. 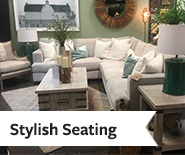 Unlike most furniture stores, our sales staff is not on a commission, we are here to serve you. We offer complimentary fresh baked cookies to create a comfortable and relaxed shopping experience.